Alice Perry and Nick Forbes have been re-elected as the two councillor representatives on Labour’s ruling body. Both candidates stood for the NEC places unopposed. In the last round of elections, Perry was unopposed and topped the ballot; a number of candidates stood against Forbes that year but he won comfortably. 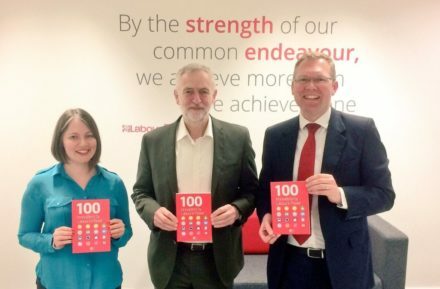 Perry, an Islington councillor and deputy whip of the Local Government Association (LGA) Labour group who is perceived to be on the soft left, will now embark on her third term, while Newcastle Council leader and LGA Labour leader Forbes – widely thought of as a Corbynsceptic – is set to begin his second. I am delighted to have been elected unopposed to the NEC, alongside my friend and colleague @aliceperryuk. We will continue to stand up for our hard working Labour councillors. Thank you to everyone who nominated us for your support! Submissions to the controversial Labour Party democracy review led by Katy Clark came to a close today. LGA Labour have contributed to the review, recommending reforms such as replacing Local Campaign Forums (LCFs) with ‘Joint Local Government Committees’. Nick Forbes penned a piece for The Guardian this week in which he outlined his arguments against letting members choose local council leaders. The Newcastle Council leader described the suggestion as “unworkable” with the potential to lead to “endless infighting”. Last month the two NEC reps set out their priorities and decisions as members of the ruling body in a piece for LabourList. Alice Perry writes regularly for LabourList, including reports from NEC meetings.